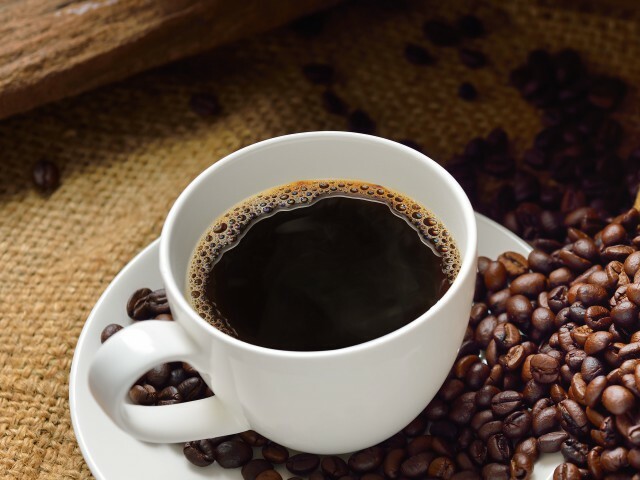 I’ve written before about the health benefits enjoyed by coffee drinkers. But some people find that coffee hurts their stomachs. There are a lot of brands of coffee that are promoted as being lower in acid and good for people with sensitive stomachs. For example, Trücup coffee recently sent me some samples of their low acid coffee to try. I definitely noticed the difference in the acidity; the Trücup brand coffee is very smooth and mild tasting. In fact, I sort of missed the acidity, which gives coffee some of the characteristic brightness and edge that I find enjoyable. I can’t offer an opinion on whether or not Trücup is easier on the stomach because regular coffee doesn’t bother my stomach. But that would have been nothing more than anecdotal evidence, anyway. The whole thing got me wondering about what it is in coffee that bothers some people. I had a sneaking suspicion that it wasn’t the acidity of the coffee. For one thing, coffee isn’t all that acidic. On average, black coffee has a pH of about 5, which is the same as carrots. Trücup reports a pH of close to 6, or about the same as potatoes. And the most acidic coffees have a pH of around 4.7, or about the same as a banana. We’re hardly talking battery acid here. Sure enough, when I started researching coffee and stomach irritation, I discovered that it’s not the acidity of the coffee itself that hurts your stomach; it’s the gastric acid secreted by the cells in your stomach in response to the coffee. Certain compounds in coffee, including chlorogenic acid and caffeine, stimulate the secretion of gastric acid. Others, such as N-methylpyridinium (NMP), suppress the release of gastric acid, protecting against stomach irritation. If you’re looking for coffee that’s easier on the stomach, the pH of the coffee probably doesn’t matter all that much. (That’s good news for those who enjoy the flavor of higher acid coffees.) Instead you’re looking for coffee that’s higher in NMP and lower in chlorogenic acid. Unfortunately, you’re not going to find any information about NMP or chlorogenic acid on the package. So here are some tips on how to find stomach-friendly coffee. Roasting also decreases chlorogenic acid, one of the compounds that stimulate gastric acid. 1. Choose a dark roast. This may be somewhat counter-intuitive, because light roast coffees are often labeled “mild.” But this refers to the flavor profile and not the effects on the stomach. Roasting the beans produces NMP and the longer the coffee is roasted, the more stomach-protective NMP it contains. Roasting also decreases chlorogenic acid, one of the compounds that stimulate gastric acid. 2. Try cold brew: Cold brew coffee is made by soaking grounds in cold water for 12 to 24 hours before filtering it. Cold brew has a higher pH (it’s less acidic) than traditionally brewed coffee, so it’s very smooth and mellow tasting. But that’s probably not the biggest factor in its stomach friendliness. When you brew using cold water, you end up extracting less of the chlorogenic acid and caffeine from the beans, so there’s less stimulation of gastric acid. 3. Add milk. Many people believe that adding milk to coffee reduces its acidity, making it more stomach friendly. The thing is that the pH of milk is only slightly higher than the pH of coffee. And it’s probably not the pH of the beverage that’s the problem, anyway. However, when you add milk to your coffee, the milk proteins bind to the chlorogenic acid, making it less bioavailable. This could blunt the stimulation of gastric acid secretion. Of course, there’s always a trade off. Chlorogenic acid is the active compound in green coffee extract, which is promoted as a weight loss aid. However, seeing as the effectiveness of green coffee extract is somewhat questionable, I don’t think that’s a big trade off. Taking all of this into consideration, it would appear that the most stomach-friendly coffee drink might be a latte. Espresso is made from a very dark bean, enhancing its NMP content and the milk proteins bind to the chlorogenic acid. Alternatively, you might try cold brew coffee made with the darkest roast you find palatable. You might also want to give Trücup or another “low acid” coffee a try. Many people report (anecdotally of course) that these types of coffee are easier on their sensitive stomachs. It could be that the processes used to reduce the acidity of the coffee also affect the chemical composition of the coffee in ways that make it more stomach-friendly.